I want to finish what I started in 2017 but did not get enough time to work on. 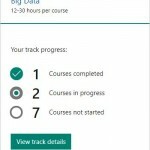 Microsoft Professional Program for Big Data track. This goal is aligned with my employer’s requirement and my personal learning goal. This course will introduce me to some of the concept that I have no knowledge today. For example “Processing Real-Time Data Streams in Azure” or “Developing Big Data Solutions with Azure Machine Learning”. 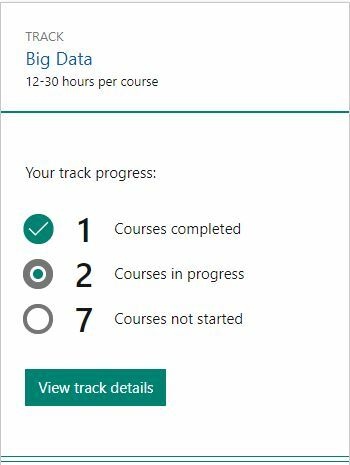 At the same time will help me strengthen my knowledge in some areas such as “Processing Big Data with Azure Data Lake Analytics” or ‘Delivering a Data Warehouse in the Cloud”. I am comfortable doing many SQL Server related task using PowerShell but I feel like I can be more efficient if I shore up some of my basic knowledge. Meaning String manipulation, Flow Control, Filter, Sort, Group and Format. When I started learning PowerShell my focus was on SQL Server related task and never took enough time to master the basics. Some of the material I might be using to learn are listed here. Read ‘T-SQL Querying By Itzik Ben-Gan, Adam Machanic, Dejan Sarka, Kevin Farlee‘ book end to end. I refer to this book a lot and every time I open this book I learn something new. I am confident that going through this book end to end will help me writing better code. At the same time reading this book will improve my reviewing/tuning code skill. 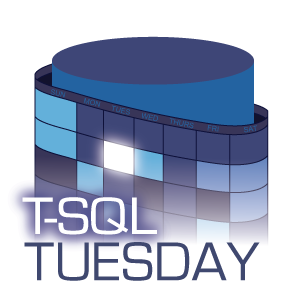 I am planning to be more frequent in helping others with question in twitter with hashtag #SQLHELP. Answer more database related questions at https://dba.stackexchange.com/questions/. Speak frequently at Local User Groups, SQL Saturday’s and Virtual Chapters. All of these will in turn lead me to learn new topics in 2018.